May 13, 2017 By Chelsea T.
Who doesn't love a good ghost story? Well, in California, there's a whole lot of them! From hospitals and asylums, to cemeteries, schools, theaters, restaurants, parks, bridges, and even roads, there's an endless amount of places throughout the state that are said to have some ghostly spirits lingering. Some of these creepy spots are located in the biggest of cities that everyone knows about, and others in small towns that only locals may know of. Take a peek below to check out our Top 10 Haunted Places in the state of California! 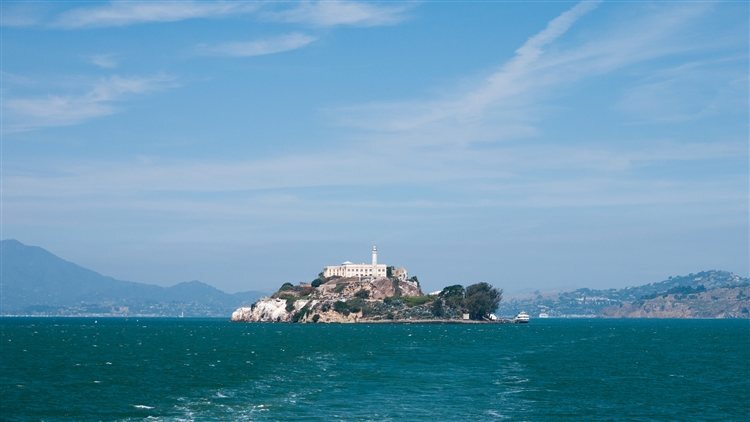 Located in the San Francisco Bay, Alcatraz Island is 1.25 miles off shore from San Francisco. It was activated in 1854 and used as the first lighthouse on the West Coast, and was home to the infamous Alcatraz Federal Penitentiary. The prison first opened its doors in August of 1934 and operated until 1963. It became known as the most brutal and inescapable maximum security prison in the U.S. and one of its first prisoners was notorious gangster and mob boss, Al Capone. The building itself is a spooky place to visit, and tons of paranormal teams and investigators travel from all over the world to visit Alcatraz. There have been stories surrounding the corridors of the prison, where ghostly apparitions have been spotted as far back as when prisoners occupied the building. The guards were also said to have spotted some eerie things as well. According to Ghost Diaries, one guard saw a group of Native Americans marching in circles, and they suddenly vanished right before his eyes. Other witnesses have claimed to see the ghosts of old 19th-Century military prisoners in A-block, they disappear when approached. The sounds of phantom canons and shooting guns has also been heard at the prison, along with reports of footsteps and moaning noises. This Greek Revival style home dates back to 1857 and is considered a California Historical Landmark (#65). It now operates as a museum and is maintained by Save Our Heritage Organization. 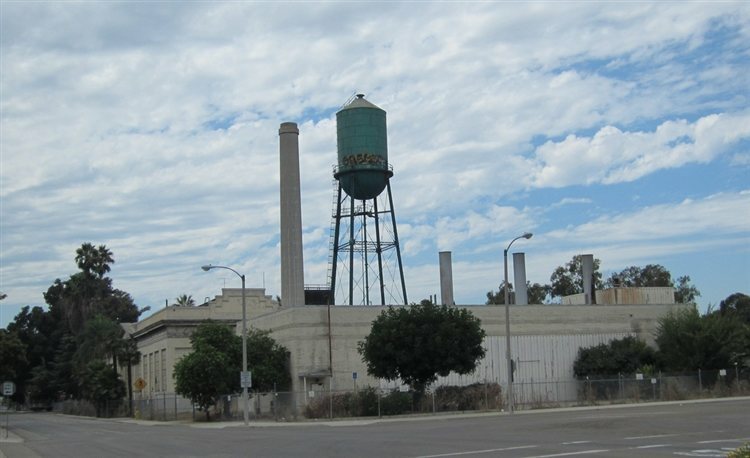 According to the museum's official website, the location once housed a granary, the County Court House, San Diego's first commercial theater, a number of businesses, including Thomas Whaley's own general store, a ballroom, billiard hall, school and polling place. A number of hangings were said to have taken place on the property before the home was built, which could contribute to today's haunting stories. The Travel Channel has even dubbed the place the number one most haunted house in the U.S. on its television series, "America's Most Haunted." Witnesses have claimed to encounter Thomas Whaley's ghost, the ghost of a young girl who waved to a man, and the specter of Anna Whaley has also been spotted, usually in the rooms downstairs or in the garden. Psychic Sybil Leek encountered a spirit here during the 1960s, that of a girl with long hair and a parapsychologist spotted a ghostly dog that ran down the hall with his ears flopping and into the dining room. The museum offers Ghost Tours for those who are interested in taking a look around to see if they witness anything spooky themselves! 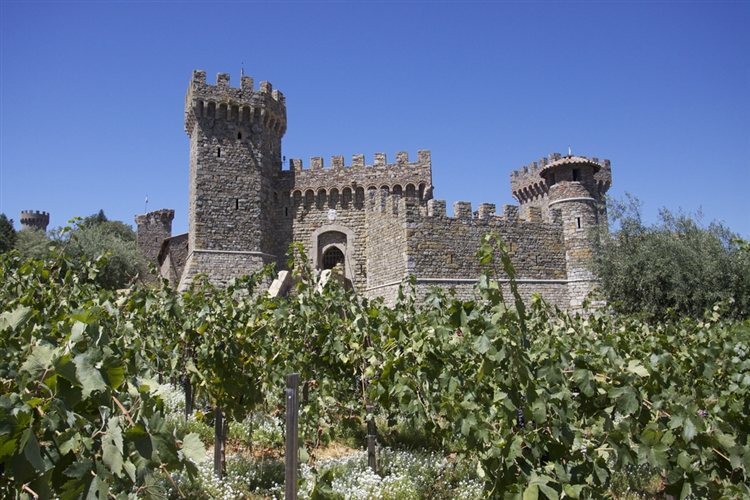 This 13th-Century style winery and castle is located on Helena Highway in Napa Valley and offers tours, wine tastings, events and more. The beautiful location is well known for its wines, but is also said to be haunted! Many have claimed to feel an eerie presence inside the castle, including the co-owners of the ghost tour company, Ellen MacFarlane and Devin Sisk. The spot has been investigated by paranormal experts and those who are interested themselves can enjoy a Ghost Tour of the castle, all while sipping some wine! 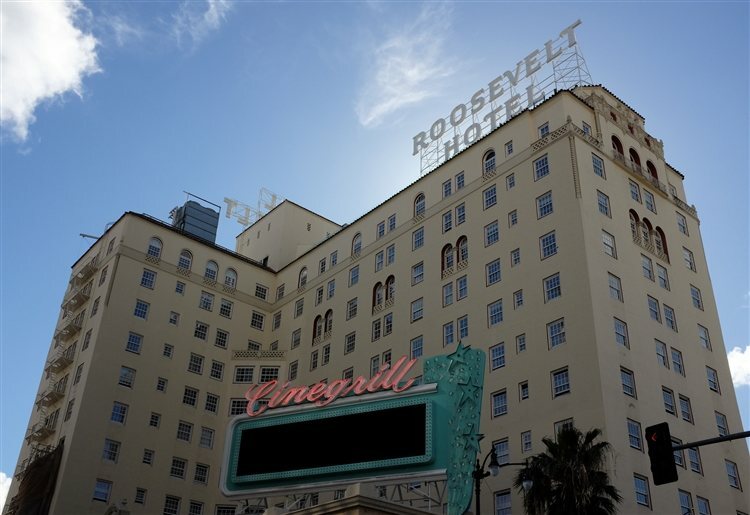 Located on Hollywood Blvd., the Hollywood Roosevelt Hotel is a historic Los Angeles location. The hotel first opened its doors in May, 1927 and is the oldest continually operating hotel in the city. Boasting 12 stories, the hotel has 300 guest rooms and 63 suites and sits along the Hollywood Walk of Fame and across the street from the TCL Chinese Theatre. With eight restaurants, bars and lounges inside, the large hotel has a ton of space for entertaining, and for some ghosts, too! There have been a number of alleged haunting stories surrounding the hotel for years. Some even believe there are celebrity ghosts lingering, including Marilyn Monroe, Montgomery Clift and Errol Flynn. Other spirits include a young girl in a blue dress named Caroline, and there have also been reports of cold spots, orbs that appear in photos and mysterious phone calls to the hotel operator. The RMS Queen Mary is a retired ocean liner that sailed on the North Atlantic Ocean from 1936 to 1967 for the Cunard Line. The ship was built by John Brown & Company in Scotland, along with RMS Queen Elizabeth, and was built as part of Cunard's planned two-ship weekly express service between Southampton, Cherbourg and New York. Its maiden voyage took place on May 27th, 1936 and was out of service in December of 1967. 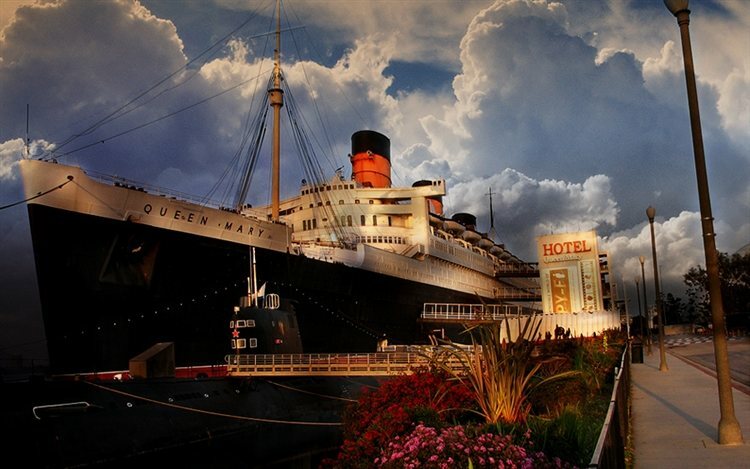 The luxury liner has a number of paranormal stories attached to it, and many believe it is one of California's most haunted destinations. One of the most famous ghosts said to linger on the ship is that of "Half Hatch Harry," an 18 year old firefighter who was crushed to death in 1966 behind one of the heavy doors in 'Shaft Alley." Dana is another ghost of the ship, and she resides in the 2nd class pool and cargo areas. Her entire family was murdered on the ship, and her spirit has been seen playing in the cargo area, or wandering around the pool yelling out for her mother. Other ghosts on the RMS Queen Mary include that of a Lady in White, who has been seen in the Queen's Salon, and William E. Stark, who was said to have poisoned himself by accident by drinking cleaning fluid that he thought was gin. His ghost is known to hangout on the Main Deck. Jackie and Sarah are two ghostly girls who drowned int he pool, and they're said to stick together in the pool area. Also known as the "Hollydale Mental Hospital" or the "Downey Insane Asylum," the location once served as a treatment center for those suffering from tuberculosis and polio. It first began as a County Poor Farm that started operation in the 1880s, before being turned into Rancho Los Amigos. The campus has a number of creepy spots, and has been explored by many who believe it is haunted. According to Opacity, the U.S. Army turned part of the hospital grounds into Camp Morrow during World War II, and at the same time the facility operated as an emergency hospital. Many say the haunting stories stem from its history, and may be patients who once called the establishment home. This lighthouse located in Crescent City on Battery Point Island is registered as a California Historical Landmark and is listed on the National Register of Historic Places as the "Crescent City Lighthouse." 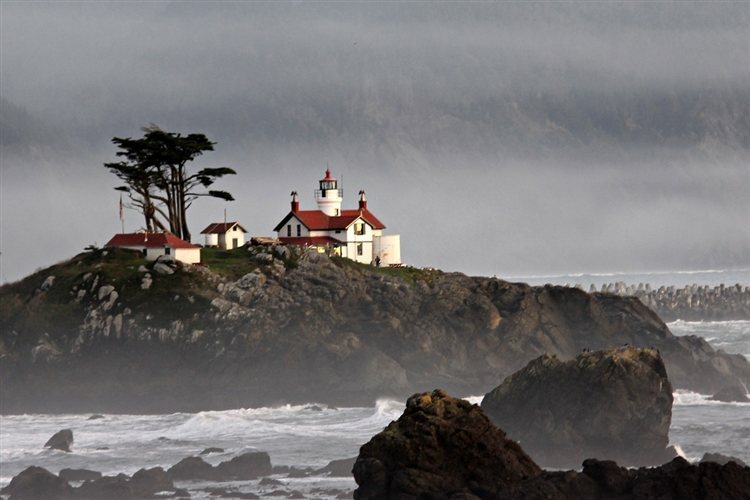 It first opened in 1856 and was one of the very first lighthouses on the coast of California. Now operating as a museum and lighthouse, it is operated by the Del Norte Historical Society and is open to the public only when low tide allows access, from April through September. Some witnesses have experienced strange happenings at the lighthouse, including being touched on the shoulder by an unseen presence, objects that move on their own, a rocking chair that is said to move back and forth by itself and a resident ghost is known to be quite playful. A child ghost is also known to linger the lighthouse, but no one is sure of the ghost's identities. 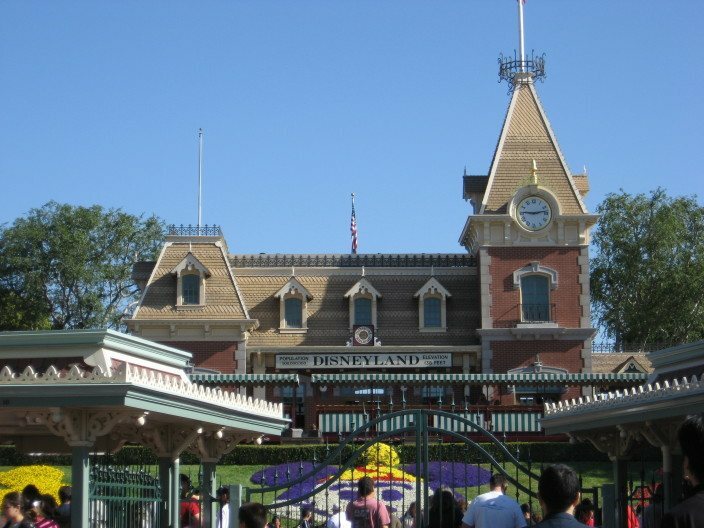 Disneyland first opened its doors in July of 1955 and was the first of the two theme parks built at the Disneyland Resort in Anaheim. It is also the only theme park built and designed under the direct supervision of Walt Disney. The theme park sits on 85 acres and has undergone various expansions and renovations. Along with it being a popular tourist (and local) destination, it is believed to be haunted, too! There are some rumors that say Walt Disney himself haunts the place, in a number of different locations, but mostly in his old apartment located over the Fire Station on Main Street. Cold spots and eerie feelings have been reported in a storeroom behind where the magic shop is on Main Street, said to have once been an office that Walt Disney used. Other locations at Disneyland that are said to be haunted include the stockroom above the emporium, The Disney Gallery, Pirates of the Caribbean and Haunted Mansion, Club 33, Tom Sawyers Island, The Matterhorn side B, It's a Small World and Sleeping Beauty's Castle - just to name a few! 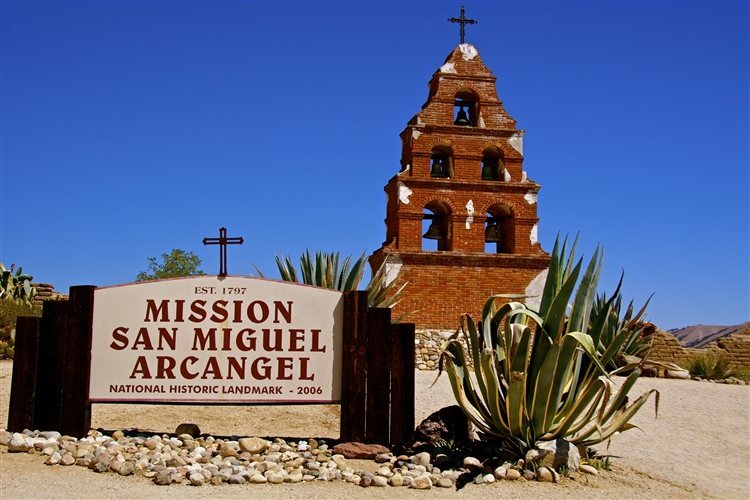 Mission San Miguel was founded in 1797, and has been a National Historical Landmark since 2006. The Spanish Mission first opened in 1821 and features over 17,000 square feet of space. The location is considered to be one of California's most historical and cultural treasures, and has played an important role in the history of the Central Coast for over 200 years. Along with its rich history, Mission San Miguel also has some ghost stories attached to it. Most of the haunting stories surround a murder that took place at the location in 1848. The murderers were on a search to find buried treasure, and killed everyone at the mission, but never ending up finding anything. They were later executed for the murders. The most well known ghost at Mission San Miguel is that of a woman wearing a white dress and a man wearing a blue pea-coat. According to Weird California, a psychic had visions of blood and horrible feelings of murder while touring the site and a ghostly monk is also known to roam the grounds. 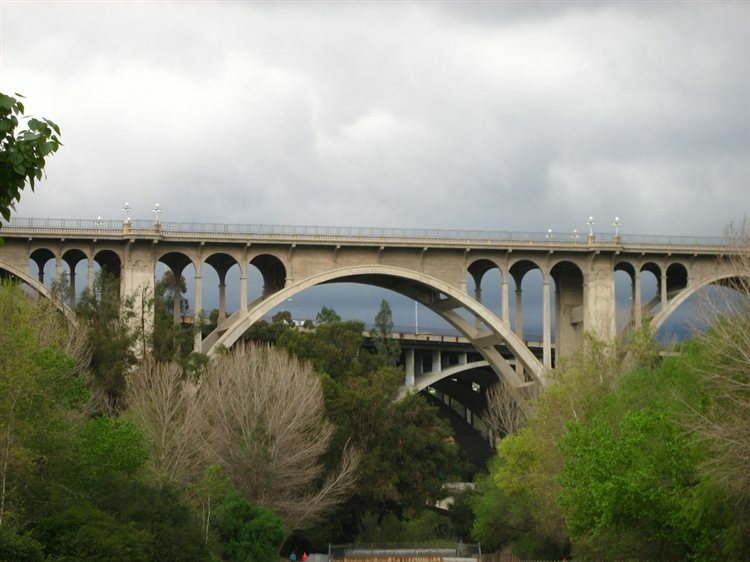 Suicide Bridge, also known as the Colorado Street Bridge, spans the Arroyo Seco in Pasadena and dates back to the early 1900s. The deck arch bridge is a historic location and has seen over 100 suicides. Due to so many people leaping to their deaths off the bridge, it became the Suicide Bridge. A construction worker even fell and died while making the bridge, and his spirit is said to linger here, along with many others, including a woman and her child. Stories say the mother took her child and herself to the bridge, throwing her baby first and then jumping herself. The child survived after landing in a tree, but the mother died. Click here to read about more Haunted Places in California!